The strength of Rao IIT Academy, is its expert and experienced faculty, meticulously chosen to maintain the best standards in teaching. They are a treasure trove of knowledge with sound credentials and well-versed with the IIT-JEE examination pattern and requirement of students to face the challenges with confidence. The faculty team is devoted to backup the value-driven objective of RIIT; to deliver the expedient resolution to the most challenging IIT-JEE, enhancing the success of the students and find the route that will lead to the best outcome. The team of Rao IIT Academy ensures to meet the challenge of intellectual endeavors required by the integrated system of education and at the same time to fulfill the expectations and aspirations of the high quality students who are admitted to the Institute from all over India. 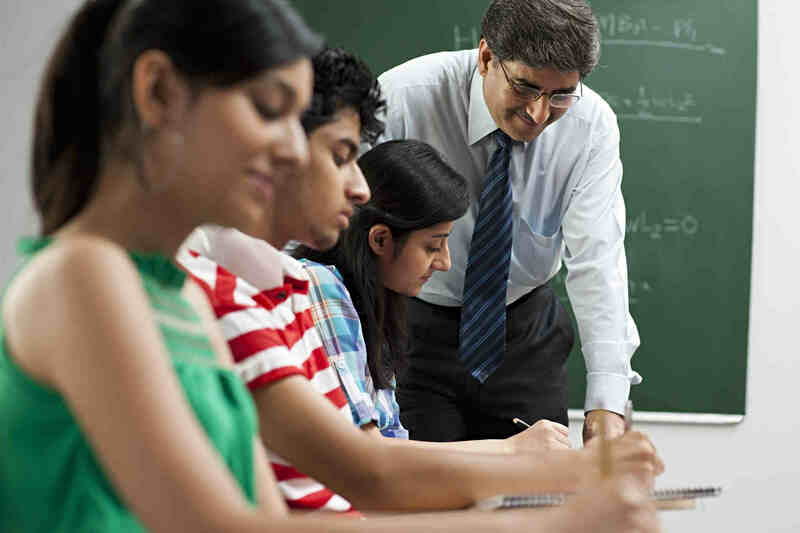 The teachers are always ready to contribute to the on going process of formulating more effective techniques of teaching and evaluation and developing interdisciplinary courses and instructional materials which the system demands. The regular rise in results and the culture of continuous academic research and development are reflectors of the desire of RAO IIT academic team to excel not only for themselves but also for those who trust them. We at Rao IIT Academy believe that mind is a fire to be kindled, not a vessel to be filled and our motive here is to equip students how to think rather than what to think. To make this belief a reality each faculty has been meticulously chosen and our strength lies with these faculty members who are expert in their field and are considered to be a benchmark in the industry.